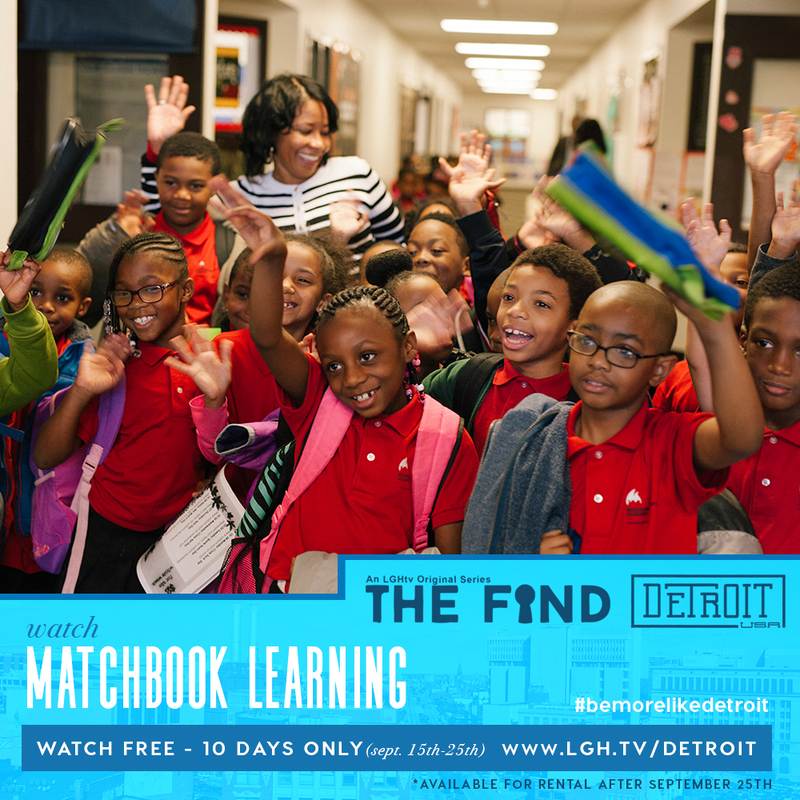 LGH.tv’s The Find: Detroit visited Michigan Technical Academy (MTA) to tell the story of its transformation under Matchbook Learning and it was gratifying to see the focus on our passionate, dedicated educators and cutting-edge approach to personalized learning. The segment highlighted our unique blended learning model that combines independent technology-platform-guided learning with a small group student-to-teacher instruction, allowing students to work at their own pace and began performing better. LGH.tv’s three episode show The Find: Detroit will be free and open to the public via the following link from Friday, September 15, 2017 to Monday, September 25, 2017: https://www.lgh.tv/detroit. Matchbook Learning’s Michigan Technical Academy story is featured in episode 2, timecode 02:25 - 15:42. We hope you’ll take a look.